Such sad news, like many said, he was the face of overnight for years and his smooth, classy style somehow fit those late night hours. Such sad news to read. For me he kept me company with the news through the night whilst I worked overnight shifts. As has been said always authoritative but wonderfully warm. Very sad, helped me through many an all nighter in my student days. The News 24 countdown, that awkward half second pause before the World headline bed began, the titles, the opening shot and that deeply professional newsreader voice saying "And this is BBC News, I'm Alistair Yates" as tractor cam trundled in the background. "I'm sorry, this story is absolute... nonsense." Oh my god. How very young. My sincere condolences go out to Alastair's family. Very sad news. Not a huge star by any means, but I imagine he had quite a following around the world. 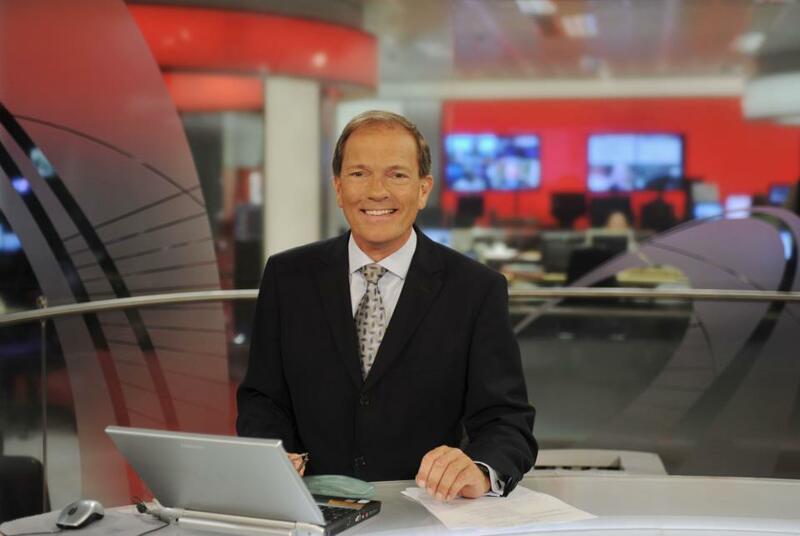 For many he would no doubt have been the very epitome of the classic, well spoken, warm, BBC newsreader. Very sad news, he had a distinctive very clear voice with pitch perfect delivery, mastered over many a year, you can see why he worked for many a broadcaster. Very sad news, he had a distinctive very clear voice with pitch perfect delivery , mastered over many a year, you can see why he worked for many a broadcaster. It feels like broadcasters are averse to these old style characteristics nowadays. Really sad news - my first exposure to him was through DW-TV's broadcasts on public television here in America. He was an old-school broadcaster, which the world today is in dire short supply of. Terrible news. My utmost condolences to his family. And along with many others, I would agree that his delivery was impeccable - in my mind, he was what you would call 'a proper newsreader'. Worth noting that he also did a lot for charity - after retiring as a newsreader, he became the head of a charity for people with ADHD.